New Zealand cricket does not have a reputation for producing fast bowlers capable of sustaining form or fitness for the long haul. Perhaps it's something for the physiology professors to work out. Certainly, they would have plenty of case study material from those comets who have exploded across the lower atmosphere in New Zealand. It is a sad fact that those who have generated speed above the ordinary have burned out all too quickly. In recent memory Shane Bond is the most obvious example, but before him there was Murray Webb, who terrorised batsmen in domestic cricket in the late-60s early 70s but never had the good fortune to get to bowl in a Test match on a bowling belter. Richard and Dayle Hadlee each generated lively pace, Richard for a brief period before deciding endurance was more reasonable than express pace while Dayle was never able to shake a back injury suffered almost immediately after he was exposed to international play. The fastest of them all may well have been Gary Bartlett who had the satisfaction of being a key contributor to three of New Zealand's first four Test victories, two overseas in South Africa in 1961-62 and at home against India in 1967-68. Comparisons between eras are difficult, especially when timing devices were not as efficient as those on the modern scene. However, those who have had the chance to see all the possible claimants in action rate Bartlett as the fastest of them all. But he was to suffer injuries that negated the total impact he could have made. His story is a fascinating one and has been finally committed to print by former Blenheim sports writer John Alexander. 'Meteor Over Marlborough' is the end product and it is a fascinating look through cricket of Bartlett's era from a bowler's perspective and which hasn't been recognised as books about John Reid and Bert Sutcliffe are the only books of significance from the time and they concentrate more on those batsmen's feats. Bartlett was always going to be a cricketer of some reputation. He lived the classic upbringing for sportsmen of his era and before. Living opposite the home of cricket in Blenheim, Horton Park, he was ever-present at the nets and at games in the manner of many boys before him including one young fellow named Bradman who lived opposite the Oval that now bears his name in Bowral. Bartlett also had some wise men to watch over him, Fen and Arthur Cresswell, two long-standing names in Marlborough cricket. All the contacts who helped him along the way are part of his story. It was some surprise to the New Zealand slips cordon that awaited the first ball from Bartlett when he made his international debut at the Basin Reserve in Wellington against an Australian Second XI in New Zealand. After seeing the speed unleashed they took several steps backwards before his second ball. Visiting Australian captain Ian Craig didn't enjoy the experience as he became Bartlett's first international wicket and he picked him five times out of six during the series. Bartlett took 5-51 in the first innings of that first game. No wonder John Reid moved heaven and earth to have him in his side to tour South Africa in 1961-62. After all the heavy fire New Zealand's batsmen took in South Africa on their 1953-54 tour, Bartlett represented prospective payback. Not that he was at full strength during the tour, but his mere presence in the New Zealand attack was sufficient to give his side a significant weapon. Then in 1968 in one of the great New Zealand Test victories he took six wickets in India's second innings at Lancaster Park to set up a win, having started his destructive spell with an old ball that was like a cloth. It is an indictment of New Zealand's failure to utilise available technical information that cricket has seemed to be perpetually inventing the wheel. Egos have too often got in the way of common sense as coaches think they know best often failing to call on expertise that has been exposed to problems that all new international players experience at some stage or another. Bartlett is but one example of a technician who had much to offer. Certainly the number of Central Districts cricketers who have sought him should be evidence enough of the value he could be. 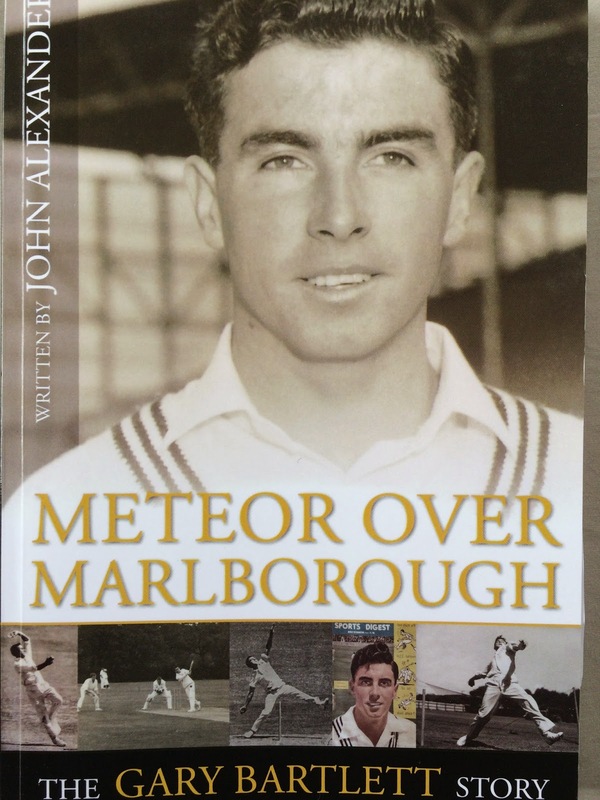 His story, Meteor Over Marlborough, should be not only a faithful record of a player who made a difference but also a reminder that there is nothing new under the cricketing sun, and somewhere, someone else has experienced problems and could have information to help players out. 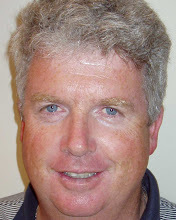 The intellectual property available in New Zealand comes from too small a pool for this realisation to be ignored and so far as Bartlett is concerned it is a case of what might have been had he been able to work with more young bowlers.